How Could SOPA & PIPA Affect Your Online Real Estate Marketing? Home›Real Estate Marketing›Will SOPA & PIPA Stifle Online Marketing? Will SOPA & PIPA Stifle Online Marketing? For those of you who conducted a search on Google Wednesday morning, you probably came across a graphic just like this. At first, I chalked this up as being just another creative rendition of their typical colorful logo (like the Martin Luther King one they featured on Monday), but there is much more to this than meets the eye. In fact, I myself was in the dark (no pun intended since Wikipedia decided to “black out” their site for a day in opposition) with this until I started searching through some Google Plus results to get my daily dose of inspiration. 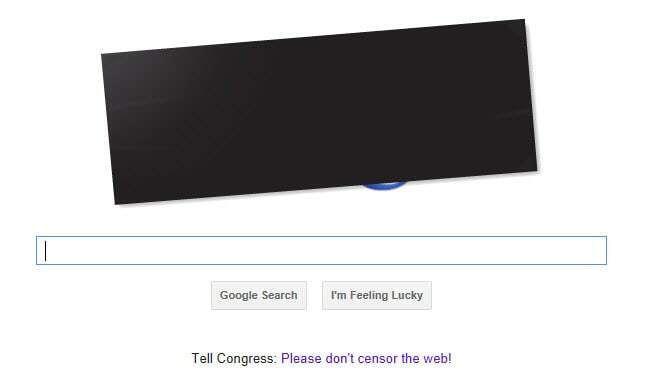 And at the very top of the “What’s Hot” section, Google posted a link to this article, which highlights some proposed legislation better known as SOPA & PIPA. Now, I’m typically not one to get all jazzed up about some negative hype (aka “news”), but this certainly caught my attention. Although there may be some positive aspects to what Congress is proposing here, I’m going to focus more on the end of things that could potentially impact small businesses according to several cited sources throughout this article. How Could SOPA & PIPA Affect Your Real Estate Business? If you are focused on keeping an active real estate marketing blog, you are already aware that maintaining a website free of spam comments and copyright infringements isn’t always as easy as it sounds. Sure, everybody reading this post does everything possible to provide necessary disclosures in order to remain fully compliant, but even then people are constantly faced with certain gray areas. As you know, the internet is constantly changing and along with that so are the laws and regulations that are introduced to maintain order. Therefore, when a bill is proposed such as SOPA & PIPA which could potentially impact not only small businesses, but also the very platforms they use for their real estate marketing, it is a huge cause for concern. For example, as Seooutsourcingchick.com and Pointclickproductions.com point out, there are certain areas that must be very closely monitored such as: who posts on your blog, what type of content and pictures you display, how certain content is cited, and when it is appropriate to reference a particular source to name a few. Of course, I’m no expert on this legislation or what is truly to come about with all this, so any legal professionals out there are welcome to share their thoughts as well. However, in a worst case scenario, these proposed laws could severely limit how content is displayed, found and monitored. Think about how this could potentially impact social sharing giants such as Facebook, Twitter or Youtube for example! Jeff Logue and Retechulous, LLC are focused on training agents, brokers, investors, and other professionals throughout the U.S. and Canada on how to effectively implement online real estate marketing ideas for maximum profits. Definitely need to spend some time researching this. Nearly every well regarded site which I visited yesterday denounced SOPA and PIPA. Would love to hear your thoughts on this after researching! Let me know what you find out. I don’t know why they have proposed to pass these bills in the first place, didn’t they realize that they can’t fight giants like Google, Wikipedia, Facebook and Twitter? Didn’t they know how many people are actively present on those websites? I know that they claim they only want to protect the web, but i don’t really like to idea of a monitored and censored web. I hear ya Mark. This attempt to “improve” the web could easily create even more problems and hardships for both sides down the road. With all the people currently against this, it appears some adjustments will have to be made if this is even passed. Here’s hoping! Thanks for your feedback.